What is a Construction Expert Witness? A construction expert witness provides testimony in court cases relating to some aspect of construction. The background of a construction expert witness may vary. A construction expert witness is someone with experience in the field of construction who is asked to testify at a trial in which issues related to construction have come up. The trial may be criminal or civil in nature, and the testimony requested could vary from a general discussion of construction standards and practices to a specific evaluation of a particular construction job. Construction expert witnesses are usually provided with special compensation for their time on the stand in recognition of the fact that they are not just testifying, but offering a professional service to the court. The background of a construction expert witness can vary. Because lawyers are concerned about how their witnesses will be perceived on the stand and how well their testimony will go over, it is conventional to select someone who is very robustly qualified. Qualifications ideally include construction training and experience, along with experience as an expert witness in other cases, because people who are used to testifying tend to perform better on the stand. One option for a construction expert witness is a highly experienced contractor, often one who supervises and owns her or his own company. It is also possible to call experienced foremen and other people who work in the construction trade. Engineers, architects, and other people with training in the technical aspects of construction may also be asked to serve as construction expert witnesses. It is also possible to hire people who have made careers out of offering their expert witness services. Either side on a trial can call a construction expert witness if it can be demonstrated that the witness will introduce material relevant to the trial. By convention, the party which calls the witness questions the witness first, and the testimony may be rehearsed or prepared beforehand to make sure that all of the important points are covered. Opposing counsel is then offered an opportunity to cross examine the witness. Finally, a redirect phase allows the witness to be questioned again. Testimony offered by a construction expert witness can shed general light upon a case and provide people with information which might be useful, or it can be a central part of the way in which a case is presented. When the witness is especially critical, lawyers are particularly careful to select a witness with impeccable credentials and experience to ensure that the testimony will go well and the witness will be accepted as credible by the jury. How Do I Become a Construction Expert Witness? How do I Become a Construction Lawyer? What are the Different Types of Construction Training? Who can Provide Legal Testimony? 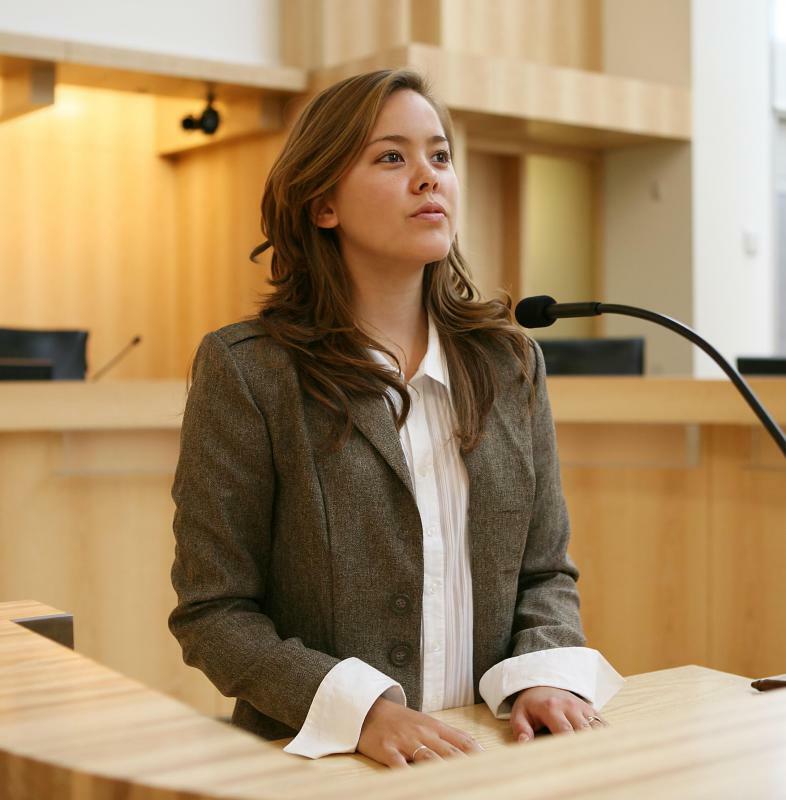 What is an Expert Testimony?